While we don’t have a requirement for our clients to use any specific web hosting company, we do recommend the selected hosting company meet a standard for security, uptime, allocated storage space for the site itself, site growth and backups, etc. We are a SiteGround customer and affiliate. With SiteGround we have the ability to stage and support client accounts within a single, robust and familiar technology framework. They include a lot of benefits that many other companies charge extra for such as secure certificates — the https protocol — giving your visitors confidence in their online web interactions. We believe in their hosting and technical support and thus are happy to sing their praises and to have a great service to recommend to our clients. 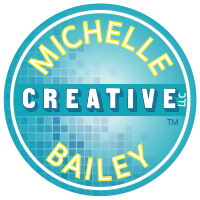 If you are ready to sign up with SiteGround web hosting, please use this SiteGround Web Hosting link to be known as a Michelle Bailey Creative LLC customer. We recommend their “GrowBig” package for most websites. Please contact us if you need help signing up and setting up the account.